These days it feels like everyone hates one another. I'm not sure there is anything but hatred these days. So much is shared online of how we should love one another. We say it to those who agree with us, but the premise remains the same. If you're not in a specific thought bubble on whatever subject it is on, then somehow you're a bad person. You're wrong and stupid and all the other adjectives that one could list here. That's how it is portrayed online each and every day. It isn't just about one subject that gets screamed about every day. I've seen it lately from things that you wouldn't expect it to things that do not seem to be controversial. As I've found, don't you dare disagree because you are the one that will be outcast. Far too much of this comes from those who don't want to discuss issues but think everything they say is right (and all others are wrong). Much of this comes from those who profess love and acceptance of everyone, but give them an online comment and they will get down in the mud pit with everyone else. See, I think these statements about love, acceptance, and rising above everyone is just codeword for you don't agree with me and I don't want to talk to you. I may be wrong, but I see more and more evidence of this. If we just stand opposed on every subject under the sun, then how does that make us a civilization? How are we a part of the human experience if we only want to hear the things that we agree within a day? Sure, everyone says they want this, but far too few actually put it into action. Remember when you get down in the mud pit of life and wrestle with everyone, no one can tell you apart. Everyone in the mud pit looks like the other. We've got enough issues in this world and to create more just for the sake of screaming along with the crowd, that's not being human. In fact, that is ego driven in my view. It is born out of fear that overtakes a person. Human is a long ways off. I wish this world would jam the gear in reverse, but I'm afraid we're going to go through some painful experiences before things reverse. No one cares about one another these days (unless it is someone in your own tribe). No one knows how to show respect for each other. Yes, they can spout off memes, thoughts, and bible verses showing how loving and compassionate they are. Maybe we just need to step back and see how we respond to situations. 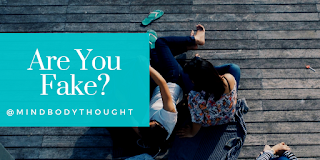 Have you really looked at what you say and do? Is it truly done out of respect, or is it hateful and spiteful? The other day, I had an exchange with someone and I'll let you read what happened when instead of being sarcastic or spiteful, a simple reply with respect changed the course of a day. It can be that simple, but first, we have to get it right within ourselves. The following tweet was just part of the conversation that helped change the course of the day with another individual. If you want to practice #Kindness - think about the responses you make to social media postings, videos, and news. If you can't practice kindness in those moments, do you truly understand what it means to be kind? LOL thank u Don, for I have certainly roasted couple severals of people to a charred crisp. While I think they deserve it, they also deserve love/compassion. So today is that day I'm sending it out to them & ALL, including you. I don't know u, but I love u for the person u are. One day is better than nothing. Sometimes just a different response can mean so much to the whole world. May we all try to give a different response - one that is respectful, compassionate, and kind. Lip service compassion seems to be the norm these days. It is pretty awful how humans are treating one another. 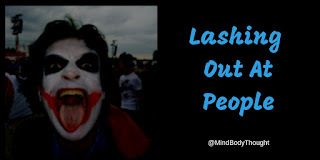 Everyone claims it is the other people that do this, but they fail to see their role. You've got the ones that have their beliefs and nothing is going to change them. They shout their beliefs and views from the mountaintops, caring little what others think. They believe they are right and everyone else needs to see their way of looking at everything in life. It is nothing more than lip service compassion. There are those that get up and scream at everyone thinking that all of the noise is horrible. While that may sound great, there are far too many that only give it lip service compassion. They want everyone to see things in their view and they will not entertain anyone else's thoughts, especially when they go against their beliefs. You will also see people who feel they do have it right and might be closer to being human, but then they go out and start screaming to the world how stupid everyone is. If you try to suggest you do not want to be part of the screaming, they tell you how privileged you are. In their mind, they are noble, but it is nothing more than lip service compassion for the world. I don't care what subject it is, there will be people that will take offense to whatever you say. If you said there was a rock on the sidewalk, some would claim it should be there. Some would claim it should not be there and others would not see it. 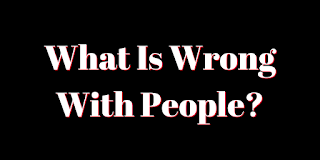 All the while, everyone would act as if they were right and everyone else is wrong. At this point, I'm so tired of hearing the screaming disguised as lip service compassion. No one is changing anyone's mind because everyone is screaming rather than listening. The holidays are a time when we come together to give thanks for all we have along with those we love. It is a time when we celebrate peace and joy on earth. Unfortunately, our lives don't give proof to what we say. We practice nothing more than lip service compassion. If you find yourself blaming some group of people or political difference, they aren't the problem. You are! If you find yourself demanding that others are wrong and they only need to listen to you, then you're the problem. When you spend more of your time pointing out the faults in others, they aren't the ones to blame. You are! Of course, only you can change what happens. No one else can make you into a compassionate person especially if you don't truly see yourself. No one else can make you change your behavior because that is solely up to you. We as a world, need to stop the lip service compassion. We need to find a way to embrace one another as fellow travelers on this journey called life. 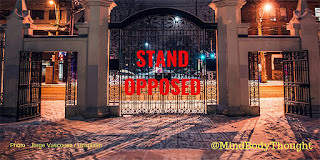 If we keep standing opposed and self-righteous to one another, we will not make it. If we think we have the answers and everyone else is wrong, we're adding to the horror this world faces. It is time for us to wake up as a people and stop lip service compassion towards one another. 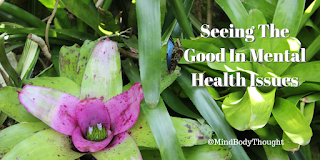 I'm more and more amazed at the behaviors I see every day when it comes to people's health. We as a country claim we eat healthy, live healthy and do all we can to stay healthy. A recent news article showed just how much fast food consumption is increasing while everyone claims to be eating more healthy. Just the kind of unconscious behavior that is alive and well in our world today. People aren't in touch with what they actually do. They lead themselves to believe they do more than they say they do. I know - it is a harsh truth isn't it? It doesn't sound nice. We like to think EVERYONE else out there does these things, but we are all guilty of it. If you don't believe me, go into your local grocery store. See which things take up the most isle space. It will prove my point many times over. No one hardly eats food that is whole and unprocessed anymore. Produce that is lightly steamed or cooked is a thing of the past for most. Frozen vegetables or vegetables obliterated by cooking is what is for dinner! I've had people tell me that frozen vegetables are the same as whole produce. I hate to break it to you, but they are not. Yes, they can measure out the vitamin and mineral percentages, but what is not accounted for is the enzymes and phytochemicals destroyed in processing. In our house, we try to eat plenty of gently cooked whole vegetables in our day. I can't remember the last time I went to a McDonalds or any other fast food place. It is the place I eat at only if I'm starving and there's nothing else for 50 miles. We don't go for the sugary coffees and energy drinks and soft drinks every day. Most of the time, you'll only find water in our house to drink. In 2009, we learned through Jeff Primack and Food Based Healing about whole food smoothies. Nope, they aren't some mix or supplement that goes into them. Nope, they aren't yogurt or ice cream or other nonhealthy stuff. They are basic produce items. You can read the blog post on My Flu Shot to learn more about them. The other thing is, I don't get crazy worried about germs out there or other people getting sick. To me, in my mind, if I do that it becomes nothing more than attracting that which I fear. I don't need the extra stress and worry on my mind in this toxic stress world. We also get bodywork with Dr. Paul Canali done frequently so our nervous system is more balanced and we're not taken under by the toxic stress. I wish more people would do this. So, when people come and tell me I should get a flu shot, I roll my eyes. Why do I need to introduce that stuff into my body when I know how to take care of myself. They claim that I will somehow put them at risk. Really? Then the flu shot is not that effective and if you have one, then using your facts, you would be protected. So, the logic doesn't work at least in my mind. Again, it is unconscious thoughts and behavior. It is a free country, and you can do what you want to do, but this is the path I've chosen. Just know that I'm not in agreement with what most of this world does. I think it is short-sighted and unconscious. If people focused on truly taking care of themselves from what they eat to dumping the toxic stress, we'd all be better off in this world. Of course, that feels like utopia to me, but I still hope that we as a world will wake up. Recently, I have had a couple of experiences that left me dazed and scratching my head. In both cases, I said one thing and someone else took it completely out of context. They inserted words or their experiences into it and then began the assault. In both cases, what I said and what they read into it were miles apart. It didn't help that I tried to explain what it was that I meant. They were having none of that. They had already come to a conclusion in their mind that I should be found guilty for whatever crime they believe I committed. Sure, I know we all hear incorrectly what others sometimes say. I understand that, but when someone lashes out at you instead of trying to understand or listen, there is only so much you can do. I saw this a lot in the house I grew up in and it was so common, no one realized they were doing this. Often you would hear, "We hurt the ones we love the most." While I accepted that back then, I no longer accept that because it is abusive. When people filter out what you say, it is hard to get them to see the complete picture. It is difficult to understand the true intent of their words and as a result, you end up spewing toxic garbage on them and yourself. It makes things pretty messy. I see these situations that I experienced as someone demanding that I understand, but I was not able to have a moment to explain. They deemed me guilty of something I didn't do. Would it not be better if they helped me understand why they reacted the way they did? Would that not be more beneficial? The experiences are sad and the best reaction I can have is just to walk away from the toxicity. No matter what I try to say, it isn't going to be enough. No matter how hard I try to convince someone in these situations, they are not going to begin trying to understand what I said. Of course, these days, this is how our country and the world reacts to other people. We don't truly listen and we judge others before anyone has a chance to articulate their point. We rush to the execution because in our eyes, we are right and everyone else is wrong. How does this advance humanity? At one time, I would have gotten in the ring and fought until I thought I had won. These days I do not see the benefit of jumping in the mud pit because I know that if I do, no one will be able to tell the other person and me apart. If we want others to understand what we know, we need to give them the benefit of the doubt. We need to listen to them and not judge them before they open their mouth. For when we judge and accuse someone before we see the entire situation, we're really making the world a worse place. We owe it to one another to be there for the other person and help them travel this journey together. The more we can lift up and honor humanity together, the more progress we all make. Lately, it feels like everyone is at odds with one another. Everyone wants to preach love and acceptance and positivity. Everyone wants the feel-good stuff, but then they turn around and do just the opposite. It seems like everywhere I turn, people are angry and frustrated and often downright mean. The love they say they have for others disappears when you interact with them. The acceptance is anything but that when you connect with them. Sure, maybe there is plenty of reason to be angry and frustrated, but we don't have to be hateful to one another. People just want to spew their hatred all day long. They don't care how it damages anyone in the wake left behind. In fact, they don't even realize they are doing it, but they are quick to point out what others do wrong. Hopefully, I'm not the one that is being blind here, but I do try hard not to propagate frustration and anger or stress on to others. It serves no one any good if I do that. I grew up in a home where people took their anger out on others, and it got quite old. It was often explained to me that we hurt the ones we love the most. How twisted is that thought? There's no need to hurt anyone. 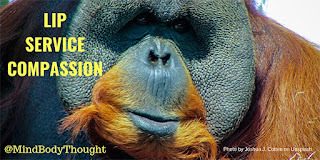 We look at others as if they are the problem and until they change, we are going to tell them what they should do, how they should act, and what they should believe. It is sickening. The best thing anyone can do is work on how they present themselves to the world. Don't wait for others to change because you will be waiting a lifetime. Instead, work on changing yourself. Spread love to others and do it authentically. Don't spread the horrible stuff on social media that only incites further hatred towards one another. Don't jump on the bandwagon screaming with the other people that think adding screaming to an already noisy world is going to help. Instead, take a hard inventory of what you display and what is in your heart. If we continue to look at what's wrong with people, we're missing the log in our own eye. We have not understood our role in this even if we want to puff our chests up and act as if we're perfect. We are reaching toxic levels of humanity where it will begin eating into the physical health of our world. We cannot sustain the actions of what we do to one another because it takes us so far away from being human. Before you spew that hatred and share that social media post lambasting a fellow human - take a deep breath, take a drink of water and then collect your thoughts. Most likely by the time you go back to it, your rational mind will see things differently. For many, experiences through life color the lenses in which they see everything around them. No matter what they attempt to lead others to believe, these experiences alter so much of how we view the world. We may not realize that we do this, but others can often see it in us. I constantly see how people want things to remain as when they had a "safer" moment in life. Maybe it was before something happened or while some traumatic and toxic stress moment was taking place. These things become the norm against how we measure everything in life. In one recent example, an individual wanted a TV program to come back because it represented a good time in their life. They saw everything else as dark, gloomy, horrible and in despair. Instead of them seeing the good in life that occurs each day, all they could focus on is the bad. No, I'm not trying to convince anyone that all is good and we're living in the greatest times. Often, the challenges we face in a day are rather difficult and mind-blowing. We have screaming and gnashing of teeth with people picking a side in how they view things. No one sees each other as human these days, only adversaries or friends. Maybe the problem isn't the world and everyone else in it as it is how we view things. If we see only the bad in those that don't match up to what we believe life should be, how can we see the good? It might be more in what we do and present to the world than it is what others do. I personally believe that each one of us has the power to effect great things or bad things in the world. It is all in how we see the world and the way in which we react. If we join the chorus of the masses in trying to pick a side, most likely we're going to see nothing good. Instead, if we focus on how we can love ALL people and be there arm-in-arm with others, there's a good chance that things will get better. It will improve not only our outlook on life but the world-at-large. 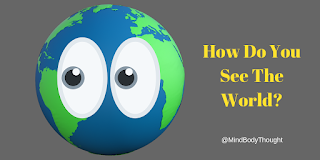 So, how do you see the world? Do you see good or bad? Do you see a friend or adversary? If you do, what can YOU do to change this at the moment right now? That is the question I will leave for you to ponder. These days, it seems that too much social interaction revolves around everyone doing a pick a side. It really is a sad testament to humanity when we can't even discuss an issue of the day without people becoming opposing forces. It doesn't matter what the issue is. I try hard not to pick a side on things. Yes, I have my beliefs and opinions, but they are mine. There's no need for me to force them on anyone else. Far too many do that on all sides these days, and I don't think it is a good thing for our world. Growing up, I had too many in my family that thought they always knew what was best. Nothing stopped them from pushing their beliefs and opinions on me even if the facts did not support them. The church we went to had a very narrow way of interpreting how we view just about everything in life including who would or would not get into heaven. These experiences I went through left me feeling bewildered because either you saw it their way or you were just flat out wrong. There was no allowance for differing viewpoint or beliefs. It was one way and one way only. You had to pick a side. I see the same thing in everyday life where if you don't pick a side, you're banished to the side of the road. Yet, if you point this out to anyone, they act as if "others" have the problem and not them. They can not see the tree in front of them because of the log in their eye. Many times I see people writing similar things to what I am saying here. They are so tired of having to pick a side and would like people to be more respectful. I'm not sure if the more tolerant voices get drowned out by the screamers or what, but we're hurting humanity. Too many of the things that we deem as important in life that we will fight everyone for, are not as big as we believe they are. Yes, there are some important issues, but to degrade others through hateful screaming and name calling does nothing to help. I see people that bash others for behavior they do, and yet they do the same to others. It makes me wonder if any conscious people are remaining these days. Surely, as humans, we are more than screaming, name calling and hatemongers. Surely, there's more to our existence. When you pick a side, and it doesn't matter which side, you're hurting others and you are degrading yourself. You have dehumanized the world through the lack of listening, care, and compassion. When you pick a side, you show to the world that it is "us" against "them" and nothing good comes out of that. No, it isn't everyone else that does this. We point the fingers as if it is, but we could not be more wrong. Much of this happens because we are not connected to the mind and the body. We have our opinions and beliefs, but we are so disconnected that we have become less than human. Change needs to start within each one of us. We need to be the change we wish to see. Stop playing into the game where you pick a side because you're only adding to the screaming in the world. It is devoid of love and compassion. We need love and compassion are so badly in the world. You do not have to follow the crowd even though our society attempts to force that upon each of us. Stand tall in love and compassion. 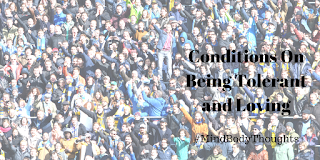 Learn how to be consciously connected to your mind and body. 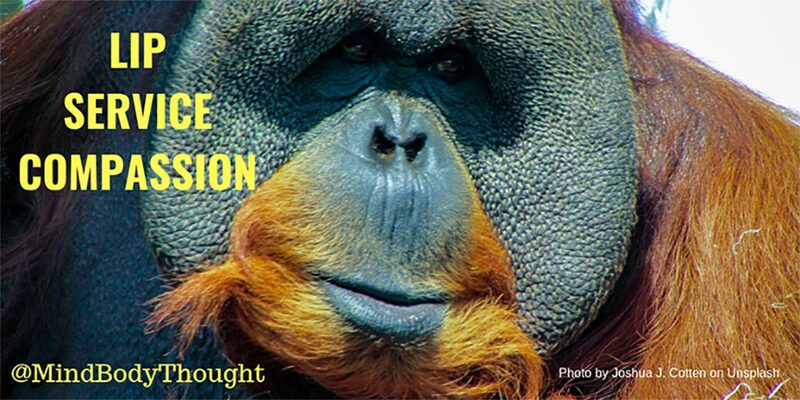 By doing this, together we will help the world evolve to a better place. Try to be more mindful of life. Stop and evaluate how you spend your day and be aware of your actions. One of the things that most miss in their day is truly being aware and conscious of how they present themselves to the world. We are so unconscious in our activities which elevates these problems to epic proportions. Hey, this goes out to everyone reading this. For this week only (until Friday, September 21 at 11:59 PM PDT), my book is free. Yep, no gimmicks and nothing special needed to get it. You can download thKindlele version on Amazon for free. After September 21, it will go back to regular price. 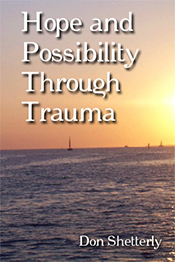 Title: Hope And Possibility Through Trauma. Much like many things in this world, there is so much fake concern these days. Hurricanes and fake concern are no different. Think about the statement, "thoughts and prayers," and you'll know where I'm going with this post. No, I'm not saying that all people do this or all statements of concern should be stopped. That could not be further from the truth. The point I'm writing about is when people you have not heard from in like a gazillion years come out of the woodwork. The concern may be real to them, but many going through the stress of a devastating hurricane about to hit, it rings hollow. Last year when Hurricane Irma came through, my email inbox was flooded with notes from people I had not heard from in so long that I thought they were no longer kicking. It shocked me first of all because outside of the storm, they didn't care about what I was doing. In fact, in one instance, I replied with what had been going on in my life, and they wanted nothing to do with that. It was nothing but a fake concern. Their words held no true concern. In many instances, I had some contacts freaking out that this storm was coming. I don't know if they had been glued to the TV news or what, but normally there's enough stress without adding to it. I can generally stay a little calm until it hits. These individuals were freaking me out to the point where their emails were becoming toxic. I know I talked to many others and they have shared similar stories. No, I'm not saying don't share words of concern and support. However, if you're going to do that, check your anxiety and freak out moments at the door. Make your emails authentic. Don't act hysterically. I will tell you without a doubt that the stress of a storm coming is not easy. It builds with uncertainty. It builds with trying to make sure you have everything ready, and you're prepared. Let's not forget about how exhausting all of this can be. When you don't know what is going to happen, the stress of that is extremely high. We've got storms coming up, and for someone, it will get quite stressful. I'm not a big believer in donating to the major organizations because I don't think that money gets to the people that need it. The government comes in and promises all kinds of assistance but generally falls short. I've heard far too many horror stories in those situations. Maybe there is good that comes out of it, but I've not seen that yet. I'm always open to good stories if they exist. If you know someone in the path of these storms, be supportive. Don't freak out because they need someone that can be calm. See if they need help or if they know of others needing help so any support can get to the people that need it. Be mindful that the TV news usually hypes up these storms. They make the radar graphics look more ominous. The cameras usually head to the worst hit areas. So, what you see on the news (over and over and over again) may not be the whole story. Also keep in mind that if someone is without power, trying to constantly text them could be draining the previous power they have on their phones. When cell towers are out, the phones take more power to try and reach cell service. It drains the phone quicker. It isn't a time to carry on long conversations with someone in a storm area. Plus, when there is no power, and the heat and humidity are so high, it is all you can do to function. Exhaustion level goes up because sleep is not easy to get. 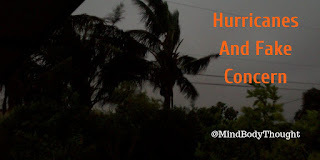 Read Hurricane Stress On The Mind Body. One final thought, if someone you know has been hit, don't think that when the coverage of storm stops on TV that all is great. There are people in Houston still struggling to make it each day in their lives as they try to piece their lives back together - over a year later! By the way, if you live in a Hurricane prone area or just want emergency lighting for power outages, here's a light some friends told me about, and it works great. They hold a charge for a long time and are very bright. All it takes to recharge them is put them out in the sunlight for a few hours. This video that a mom did about her son who died by Suicide is very touching. The reason she did it is so that she could help others who were hurting and in pain. Often people who struggle suffer in silence and no one sees the pain they are experiencing. I like the statement made in the short video, that so often those who lose out to suicide just want the pain to end. I have felt that way in my life in those same moments. Please know that others do care and there is help out there. Watch my friend's video and see the resources she puts up. I also did a webinar on Suicide a few years ago with a mom who lost her son. Her statements helped wake me up in my own life and really shed light on what it does to the survivors. I know that some out there think you should not discuss this side of suicide in this way, but it made all the difference for me. Knowing what those who loved me would have to deal with brought a new perspective on suicide for me. There's no way I could hurt them, and that is enough to kick my brain back out of the depths. Of course, it is sad to note that the following video has not had many views. It makes me roll my eyes a little. Sometimes I think we say we want to help raise awareness and help others, but it becomes nothing more than words without action. I am sorry if that offends anyone, but I don't want to see anyone die from suicide. Words without action don't mean much in my opinion. We seem to get that this is true, but yet in our civilization, humans fail to comprehend this concept. Of course, if you are reading this, I'm sure you've never done this. 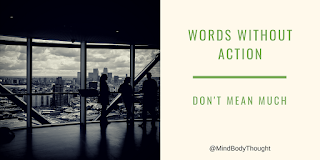 Words without action is probably something someone else does, right? After all, we would never ever think of doing this. I'm just being crazy, or am I? So here are some examples that might help you see if you fall into this trap of words without action. I see all too often that we preach love and acceptance to everyone. We despise bullies and those that only see others through a narrow lens. However, then the same people that are so put off by the rhetoric of hate and narrow-minded thinking can be found doing the same thing. If you truly listen to yourself and watch what you share online or what you say in the privacy of only those that agree with you, it would be horrifying. Another example is how people say they want to heal their lives or move on from situations, but what they do is anything but working towards this goal. It is words without action. They want to heal if it doesn't involve them going deep into areas of discomfort and stepping outside of their comfort zone. They want to heal as long as it doesn't involve them going beyond the paradigms and belief system they know. The desire to heal is there as long as it doesn't upset the family or social structure in their lives. Last but not least is the example of saying phrases that are words without action. They are statements that don't mean much. For instance, you could constantly say to someone, "I love you," except that far too often, it is nothing but words. There's no follow through with the words such as in action you take. You might tell someone that you miss them, but do absolutely nothing to stay in touch. Either you are too busy for them, or you act as if there is no way to communicate. You find a million excuses to go along with these words. Words without action show your priorities are off or you don't believe what you say. They belittle those that bear the brunt of them. They become passive aggressive swords that inflict pain. The world really needs people who are authentic. We don't need more people who speak or write words without action because they just don't mean much. You can claim all day long that it is everyone else that does this, but unless each one of us looks in the mirror, we won't see the log in our own eye. Make your life authentic. Make your life count so that when others hear you speak, your word is impeccable. Don't be the person that speaks the words without action taken! I really get irked these days by the modern day communication. Everyone thinks that to have many followers is somehow a status of significance and importance in life. I hate to break it to you, but it is not! The old man on pawn stars said it perfectly on an episode. As Chumlee was telling him how many Facebook friends he had, he asked him how many of them would show up to help him move on a weekend. Of course, the answer was, probably not many. Not that we can't have friends on Facebook or Twitter and develop some deep, meaningful relationships with them, there is a limit to the role they play in life. As humans, we need that physical interaction. We were meant to have that physical connection to enhance life, not only see a figment of pixels online. These days, we go from one feed to the next, screaming, ranting, raving, and liking or sharing what the masses are saying. We join the crowd with the latest rant, or we beg our friends to like, retweet, share, or answer silly game questions. It is as if these things matter far more than anything else in life. However, we don't communicate with others in the way that we think we do. In fact, I would strongly suggest that communication is so poor these days, we've almost forgotten what it is. We have all these ways of communicating with one another and yet we're really not communicating. I hear far too often, I'm so sorry because I've just been too busy to connect with you. Really? A text message or an email takes that long to write? Calling someone on the phone is such a burden? When I grew up, we had long distance calls. There were no cell phones, text messages, email, instant messenger or tweets. You had to find a phone and then place a call which was expensive because almost everything was long distance. Letters were more common then. Don't get me wrong in that I'm saying all social media or modern forms of communication are wrong. However, don't tell me that you can't keep in touch because you don't have enough time. It isn't that you don't have enough time as much as what you consider a priority and how you manage your life. If people truly matter in life to us, we'll make time for them. Maybe we'll realize that the constant screaming and ranting and raving is just noise in our day. Not everyone needs to see our shared political rants or religious beliefs. Not all of us want to be coerced into donating money to your favorite cause. Instead, I'd love to see people treat each other as humans. This does not mean posting the latest meme but actually doing it. We are all too fake in this world, and it is getting to the breaking point. The Happy Birthday messages on Facebook still blows my mind. Everyone can click and say Happy Birthday, but what about sending a card. What about a heartfelt message? Does anyone still remember what it means to receive an actual card in the mail? To me, I treasure those. 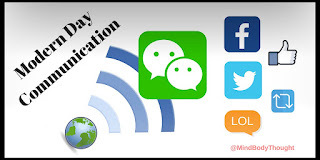 We really need to reverse course on how we are interacting with one another in modern day communications. If we're not careful, we will wake up one day and not recognize anyone around us. We'll become more fearful of people on the street because we don't know who they are. When this happens, we will have failed in what it means to be human. Unfrotunately, we're not too far off from this point. These days I'm beginning to wonder more and more about people online. I'm sorry, but it is true. Too many who are fake, but throw up the positive thoughts as if they are the sole answer to the universe. If you post anything real, you get responses of fake positivity that really does little but leaves the recipient feeling empty and hoodwinked. You might think your words are somehow magical, but if they are not authentic, then they have become the noisy cymbal in the band. For some reason, people think they have to respond with some wisdom when maybe the person just needs to be heard. Unfortunately these days, we don't know how to listen. We only know how to force our views and opinions on others. You can see this in all walks of life and different places but in reality, the fake part of who we are as humans begin within us. We're the ones that perpetuate what we so often scream and rant about in life. Being authentic and honest is what makes a difference. Listening without judgment and I mean truly listening without judgment is so rare these days. I see very few people that do this, and I can count them on one hand. Are you fake? I'm sure you would quickly answer with NO! However, I'm guessing without knowing you that this may not be the whole story. It is something to ponder and consider because I believe each one of us shows a fake side every day and if we don't think we do, then we are fooling ourselves. In my view, the trick is to recognize it and see how authentic we can be. Authenticity and vulnerability are the essences of human interaction. Do you want an easy relaxation tip? If you're like me, nature provides many ways to relax. I love listening to the sounds of the wind whisper through the trees. There is something so calming and soothing to me. When I was a kid, I would go out and lay in the grass, look up at the clouds go by and just listen to the wind whispering through the trees. It was relaxation at its finest. Go ahead and try it out for yourself. 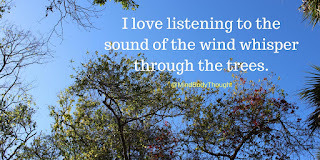 Find a park or your backyard or anywhere you have trees and just listen to the wind whisper relaxation. So often when physical issues show up in the body, we forget to take into account where it all begins. 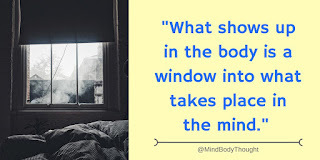 What shows up in the body is a window into what takes place in the mind. In my life, I learned that when something physical shows up in my body, the first question I ask is "what was going on right before it showed up?" Often, the answer to this question is the clue to how we can heal it in our body. 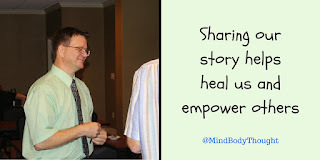 Sharing our story helps heal us and empower others. While our knees may shake and our voice may tremble, the act of vulnerability we offer to others does so much for us. In our moment of being vulnerable, others will feel empowered because they identify with us, knowing that they are not alone. One of the most difficult lessons I have learned in life is this one. 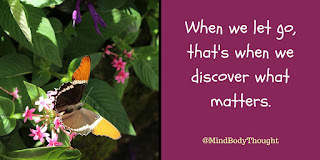 When we let go, that's when we discover what matters. It seems like we should cling and hold on to what we know, but as I have found, that's when we need to let go. For in doing so, this is when we discover what we cannot see. It allows us to make a choice of a new and different awareness. Sometimes this is very difficult when you are facing challenging times. However, hope tells you to keep going when everything else says to give up. 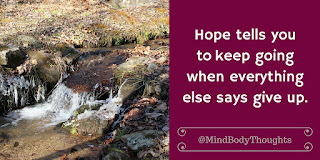 Listen to hope and know that you will make it through these moments. You just need to keep putting one foot in front of the other. No labels needed can be applied in many ways to different things in life. We are far too quick to use labels, and that hurts us and humanity. We are too quick to apply labels of health issues on ourselves, and it holds us back. I feel fortunate that a therapist cautioned me about applying labels to my life. She asked me to rethink how I was trying to label my life. She reasoned that if I applied a label, then I would end up living up to the label. She was correct, and it was excellent advice. 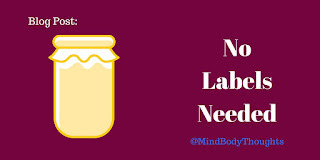 How are you applying labels to your life or to others? Does Pain Help Our Cells Communicate? 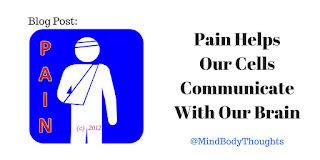 In the mind body connection, pain helps our cells communicate with our brain. Sometimes cuteness in a day is so badly needed. 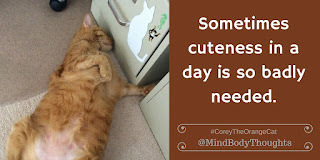 At least that is what #CoreyTheOrangeCat teaches me. I'd be lost without our rescue cats. Too many times in our life, we forget that stopping to observe and notice all that is around us is a good thing for our mind and body. 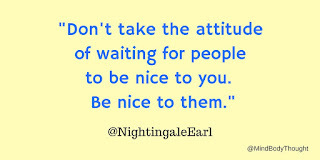 I love this quote from Earl Nightingale. Don't take the attitude of waiting for people to be nice to you. Be nice to them. We are all Stronger Together. At least, that is what I believe. These days in our world, we act as if we have to go it alone, but that just makes us weaker. We really need each other. 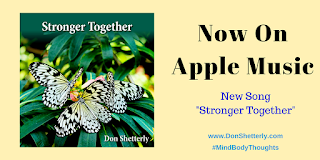 In this new song I created called, Stronger Together, I recognize that we all face challenging times. We all have our struggles and our difficulties. Reaching out to others, no matter what situation you are facing, is a sign of strength. This song, Stronger Together, came about after many years of just being a tune on a site called Jam Studio. I had played around with it, but nothing ever came of it. I had the chords in my mind, but until I faced some challenging circumstances on my own, it was only a bunch of notes. When I kept sitting down at my keyboard attempting to give it a voice, it finally came through unexpectedly. Fortunately, I had thought to record it on my keyboard because it would have otherwise been lost. When I record music, it either comes to me or it doesn't. I was happy to learn that George Winston experiences the same thing. Once the music comes out though, unlike him, I can't replay it. It is like a conversation that once it is spoken, there is no repeating it exactly like it was stated. My music creation is one that cannot be re-created. I wish it could, but I have not found the magic in doing this. 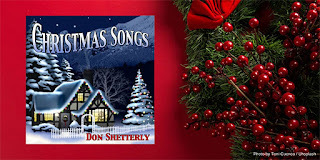 If you want to know more about the background story, check out what I wrote on my website at DonShetterly.com. This song is special to me and I hope you will support me by purchasing it on your favorite online music store. I don't often ask for much on this blog, but when you purchase my music or books, you help support me so I can keep doing what I do best. 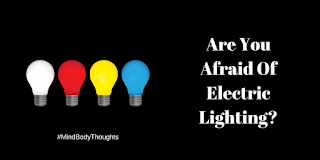 Are You Afraid Of Electric Lighting? I'm seeing so many conspiracy theories these days that it almost makes my head explode. This person is afraid of this device. Another person is scared of another device. Other people are fearful of gadgets and things too numerous to mention. Everyone has their own set of facts, beliefs, and opinions to back their conclusions up and prove they have the truth. I've seen it so many times. Quite frankly, I'm getting so tired of seeing it everywhere I turn. These days in our society, it doesn't have to be proven, it just needs an "element" of truth in what is being stated. In our news, we sprinkle in a few facts along with the opinions of guests on these shows and act as if we invented the best news source in the world. Let's start with modern day devices. Lately, I have been seeing how microwaves spy on you and how Alexa is spying on you. Does anyone know if these things are right? Most likely not, but it doesn't stop them from forcing the world to hear their beliefs that this is true. Alexa has been in the news supposedly spying on everyone. Maybe it is true, and perhaps it is not. I have no way to know. If she wants to listen in on our conversations, she is going to get very bored. They can't hardly keep up with programming her with answers, so I doubt they have time and capital to fund the massive workforce that would be required to monitor everything. I have seen so many people treat the Alexa device as if it is some evil person coming after them. I shake my head because these people act like any technological advancement is a bad thing. Be wary they say. Run, they say. Hide, they exclaim. For me, I'm one that believes in invention and progress. Actually, I think we are running far behind where we should be. There should be more advancement and growth, not less. Will there be mistakes and hiccups along the way? You betcha! It all reminds me of the story I heard about Thomas Edison when he was inventing the electric light bulb. In his wintertime hometown, he wanted to build an electric light grid so the town would be lit up. He offered to pay for it out of his own pocket, but the townspeople said NO! They were afraid of the electric lights. The lights were new. They feared them as if they were the worst things invented. Today, we can't imagine a city or a home or a street without lights. We don't run from electric lights in fear. We don't pass around conspiracy theories about electric lights. These are welcomed advances now in our lives. We may want to think how we view progress and innovation. If we don't keep advancing, others will. If we stay stagnant in what we know, we've doomed the human race. Part of being human is growth. Part of the mind body connection is about awareness and growth. Let's not be afraid of electric lighting, but instead embrace that which makes us fearful. Don't follow blindly, but don't be scared to step out the door because someone has convinced you that it might be too frightening (metaphorically speaking). Let's embrace our mind and our body. Let's be more than we are today. We will not get there by hiding our heads in the sand. We won't discover and become more aware and conscious if we're against stepping out into the unknown. Even in the light of all that has happened with data collection, we need to be cautious, but not over the top. Each one of us should be careful of the things that we share online because any time you type the words on the screen, you no longer have control over them. These days, I get so tired of seeing this on display. In social media, we wear it as a badge. I'm talking about how we say and preach one thing to the world while doing the opposite with our actions. We say we are tolerant and loving, but then we put conditions on it. Of course, we don't acknowledge that, and if someone pointed it out, we'd dismiss them quickly. We think it is everyone else. Those who disagree that are not tolerant and loving. We've got such a big log in our own eye that we cannot even begin to see this in our personal life. It is everyone else that has the problem, not us. We're self-righteous and holier than thou. We exclaim, we're telling it like it is or we claim that somehow we take the superior high ground because we're enlightened. It doesn't matter which side of this you are on because we all do it every day. If you don't believe me, show your social media feed to a young child, and I bet they can point out the hypocrisy quickly. We go to our churches, and we claim how full of love and righteousness we are, but we don't stop to know ourselves. We don't stop to look at ourselves and see what is within us. If you don't go to church, there's a good chance you use some other belief system to do the same thing. Then we point fingers at one another. We have to tell others just how wrong they are. After all, we are tolerant and loving. We just gloss over the conditions because we are so self-righteous. Growing up, we were in one of these ultra-religious churches that stated bluntly if you did not believe the way they believed, you weren't going to heaven. There were a lot of other "beliefs" that they taught that I've written about before on another blog post. It took me many years to let go of that brainwashing hatred for others that were different than us. Most of the people outside of that church were much more tolerant. I didn't hear politics discussed or hatred towards gays. They were down to earth peace loving people that were fun to be around. I admired and respected them. Now, however, when I go view some of the stuff on their social media pages (next to the things about how much they are tolerant and loving), I see some of the vilest hatred that exists. How can people not see what they are doing? If you say one thing, but do another, your words mean nothing. Your actions tell the real story. These days we are so consumed with things that have knocked this entire planet so far off its course, we cannot even see it on display. We're so numb and disconnected and unconscious that basic decency and respect for one another is something from prehistoric times. No, it's not the other people that do this in the world that is the problem. You can't control them. The only person you can control is yourself and whether you engage and propagate the hatred and divisiveness or you walk away from it. That's a choice you make each day. So when you claim you are tolerant and loving, make sure you're choosing something that matches that. If your rhetoric and social media feed say the opposite, it might be time to have a hard look at what is within your heart. For what lies in your heart is showing the entire world what that is. Tolerant and loving people show it through all aspects of their lives. It isn't just the words you say, or share and likes. It isn't the retweets and screaming. It is pure love that treats each other as human, not as something less than ourselves. It is your heart in action and your ego filtered with respect. Right now, we're not functioning with our mind and our body. We are half engaged, but we act as if we are fully engaged. Our human regulator is broken and causing us great suffering in this world. When we are not aware or conscious, we don't fully engage in life. We pull back and only put in part of what we need to put into life. We numb from fear, and we engage from the ego, not from the heart. Our emotions may be over the top or nonexistent. Our passion for causing change may have no regulator on it. Our words become a way to prove that we know more than others. Our ability to slow down and stop or rest has become one of that is a meme, rather than something we do. We can only exhaust our body systems before they start breaking down. If we don't deal with the stress that is piling up on us every day, it will be our stalker that attacks us in the night. There is no way you can exist in life right now without stress having an impact. Yes, you can numb yourself by wishing it away, but it is still there. It lurks in the shadows. 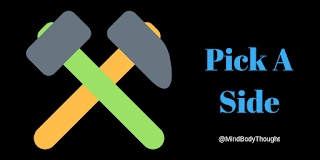 When we stay fully engaged all day long through our electronic devices connecting us to every morsel of "breaking news" that others deem is important, we are hurting our mind and body. Most of this stuff is noise in a day, but we consume it as if it is the last drop of food we will ever see. It is not healthy in the least bit, but for some reason, we cling to every new feed, tweet, and a bit of gossip as if it is greater than our life. When we live in fear and we numb, we are disconnecting ourselves from everyone around us. We put up the wall between them and us, so we continue to operate. There is far too much that we use to separate ourselves, rather than help to further the world. 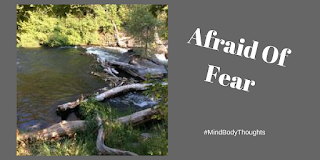 The fear and numb is insidious because even though we act like it does not exist in our life, it operates freely behind the closed doors of our life. We go online and leave comments that prove to the world we know more than they do. Memes and happy thoughts become what we share with everyone. Instead of fully engaging on a human and personal way, we fire back those tweets that will put someone in their place. 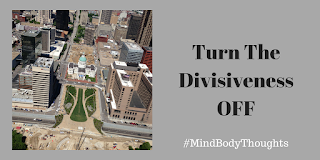 Instead of expanding our views, we huddle with those that we agree with not seeing others that hold a differing opinion as someone real in life. Our broken regulators in life keep us from bouncing from one thing to another. We don't even fully see it because we are not aware and conscious enough to do this. We've lost the grounding in our body, yet we have convinced it is still there. We've lost the ability to disengage from the ranting and screaming because we're convinced we have to fight. In the meantime, love and compassion and respect has disappeared. We claim we hold these truths in our life, but our actions fail as a witness in court for us. We struggle physically with health conditions because we are not dealing with life. Life has dealt with us in a way that we're no longer in control of our body. Our mind convinces we are, but the body has long ago shut down. If we want to and if we have the courage and determination, we can wake up in our body. It is not easy and very few even do this. The more you have shut down to in life and what you are inside, the more distance you have to travel back to awareness and consciousness. It can be done, but it is not easy. Too many stop before they get very far along this journey. No one can tell you what you already know in your life, even though it is hidden from view. It takes each one of us going deep within and seeing what is there that we don't want to see. 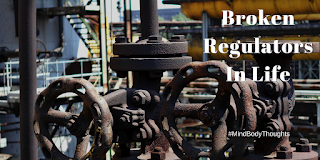 If we don't fix the broken regulators in life, we're going to end up in a very awful mess - the likes of which we do not see at this moment. We can wake up if we so choose, but it is a choice. It is not a bunch of words that you say. The evidence shows through your life. No one will be able to claim if you awake or not as that is something that others around you will know without a doubt. In this world, we have been marching to the edge of the cliff for a long time. We're not meant to do that. Instead, we are destined to wake up and grow in awareness and consciousness. Life is about becoming more of who we are, not succumbing to what the masses convince us is correct. Each day of our life, we make a choice as to how we will fit in the world. Our tweets, social media postings, interactions with others and how much we get to know the depths of our innermost self will reflect our awareness and consciousness. I saw this question posted online by a friend and so I thought I would write about it. 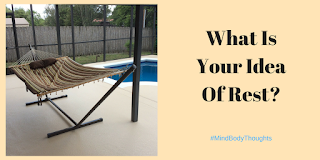 What is your idea of rest? Doesn't it sound simple and straightforward? Unfortunately, I don't think it is because from what I see in this world, very few people take time out to stop and rest. No, I don't have hard evidence of that, other than what I've observed and seen in people and in the bodywork clients I have worked on. We spend too much time with our phones and staying connected continuously. We run from this activity to that activity without really looking hard at where our time should go. In many ways, we are so busy being busy that we are too busy to notice that we are. The mind and the body need downtime. Yes, we need sleep, but rest is beyond the sleep moments. Can you run your car a 1000 miles without stopping? Can you work 24 hours a day without stopping? The answer you would most likely give to this is no, you can't. However, we still tend to apply these same principals to our life. The mind needs time to process and defrag itself, but if we are continually going, there's no way to do this. If we don't stop and spend time observing life (such as nature or our breathing or stillness), life will pass us by. Life will slip away before we realize it and all the essential stuff we will have missed. The mind needs periods of downtime. We're so stimulated with data and input coming at us a million times a second that rest seems foreign. We don't even realize because we are so unconscious and unaware these days of our limits. Many times, we are keeping our minds in a constant state of busyness is not health. Our body's need rest. It needs to build up and recuperate, but we see how far we can push it. We don't give it a second thought. We keep piling stress on top of stress in our muscles, tissues, and cells. The more we do this, the more we add layers to something that could have been so simple to release and let go. As it builds, so do chronic pain and health issues as a result. Then we wonder in amazement why we are in the shape we are. 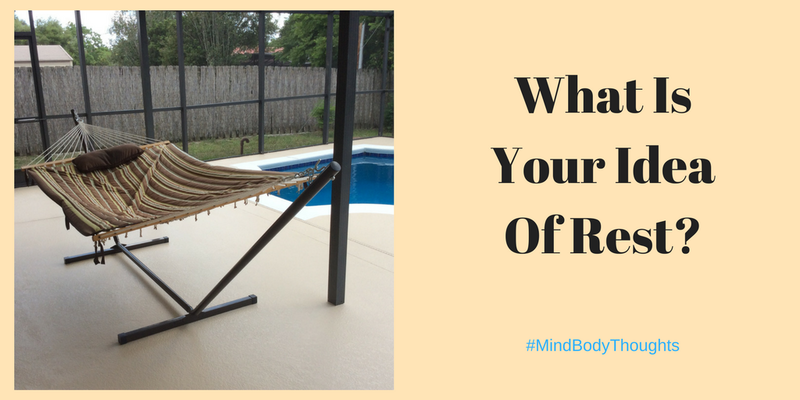 The more you give your mind and your body some downtime in life, the healthier you will be. You will see things in a more balanced way and not be so numb or fear driven in life. It will help bring balance to all parts of your life because you will be taking care of yourself instead of neglecting yourself. Of course, you can continue to do what you do thinking that very beliefs will take care of you. Unfortunately, if you don't deal with life, stress and stopping to rest, it will deal with you. You can count on that. Just look at the research that shows how much of doctor visits are related to stress. We don't take care of ourselves, and the result is not good. You don't have to meditate on the edge of a cliff for 5 hours every day. You can take little steps like stopping to notice your breath. You can choose 10 or 15 minutes at lunchtime and sit there in nature or in a quiet place and just be still. Observe. Put the phone away. Sometimes quiet and stillness is an excellent form of rest. Without it, we turn our lives into one noisy and busy nightmare that we will never wake up from in our life. Don't wait until it is too late like I did. Take charge of your life by taking care of your life. For some reason, I do not understand, we as humans think we need to engage in every fight that comes along. Just a little tip here which I'm sure you've heard before, You don't have to engage. Now, I know, everyone will claim they don't engage. Many will state they rise above everything. Many will deplore what is going on. However, what is said to the masses and what is done while no one is looking do not match up. I'm sorry. I hate to be the bearer of honest news to everyone, but I see this day in and day out. It isn't hard to figure out with a couple of clicks on the internet. What we say to the world and what we do are not the same actions. The more significant point is you don't have to engage with the turmoil and screaming of the day. The world will go on whether you do or not. If we're not careful, we're just adding more fuel to the fire. Yep, somehow we think that dumping our own fuel on the fire is helpful, but basic science teaching says that dumping fuel, only increases the fire. I know you'll tell me you don't do this. It is all those other people that do. This is where I cringe and just let you continue to think that you don't do this. I get it. We are humans. When we feel scared or threatened or attacked, we want to bring it on and let everyone know just what we think. It does make sense. However, don't you need to ask yourself if you're really helping the situation by responding the way you do? As Oprah said the other day to Jimmy Kimmel, "You don't win by meeting any kind of negativity head-on." There is much truth to this statement. Everyone thinks they are right and so they engage. They don't listen to what someone has to say. It doesn't matter if you are on one side of the issue or another in this country. No one listens to another because they have their minds made up. When we continuously engage in this screaming and negativity, we're not helping anything. 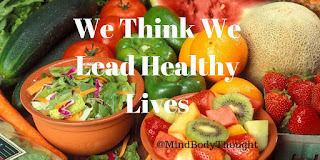 Most of all, we're keeping our mind, body, and nervous system revved up, and that's not healthy. It creates more stress. Stress creates illness and health issues. The end result is we end up hurting ourselves. I'm not saying to crawl under a rock and hide, but you don't have to engage. You can listen to someone say something that you don't agree with because maybe they have a point in there that you need to hear. 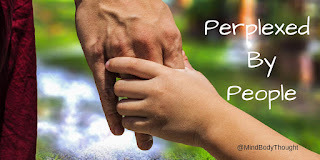 You can do what others don't do to you thereby modeling behavior that is more healthy and respectful. 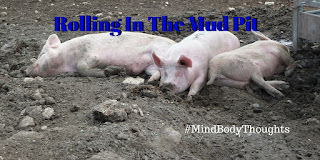 Most of all, don't get in the middle of the mud pit and expect to come out looking any different than the other people. Rise above it with love, understanding, and compassion. Use your life to help teach and show others a different route through it. 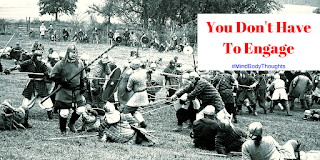 Remember - you don't have to engage!